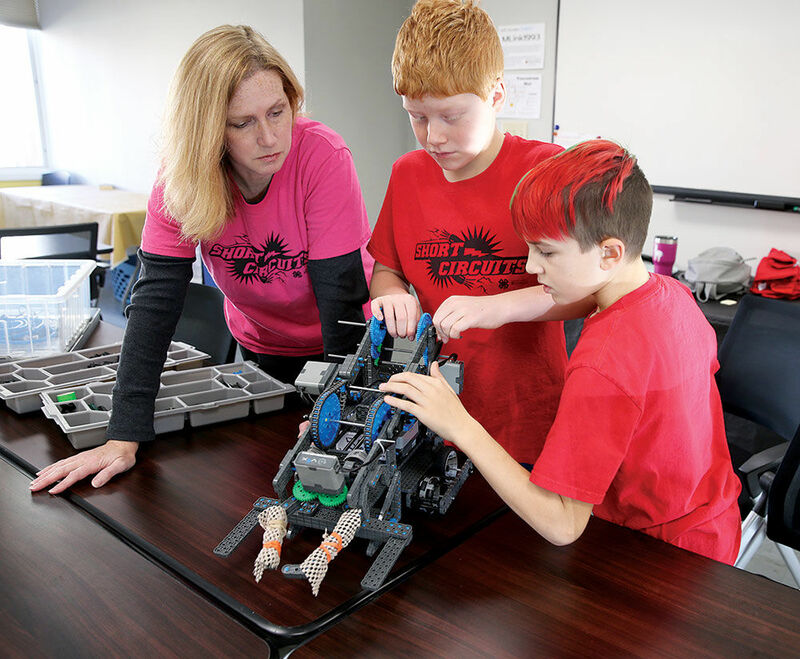 From left, Tamara Welliver, the coach of VexIQ Robotics, assists Camren Brister, 11, and Cayden Welliver, 10, with a project. VexIQ is part of the 4H Electric Dolphin Club that meets at the University of Missouri Extension Center in Kirkwood. A recent exercise class offered by the University of Missouri Extension at its Kirkwood location. The University of Missouri Extension Center in Kirkwood has been known as “a best kept secret,” but the center would like to have that secret spread far and wide. Located at 132 E. Monroe Ave., many people associate extension services with 4H and soil testing. And while that may have been true when the service started more than 100 years ago, that’s not the case today as the center has expanded to offer courses and instruction on a variety of different subjects. The center moved from Creve Coeur to Kirkwood two years ago. While it draws anywhere from 200 to 400 people a month for classes, the number is larger when taking into account the other various locations where courses are offered such as community centers, St. Louis County libraries, St. Louis Community College at Meramec and others. Dwayne James, urban county director and county engagement specialist with the center, said the center brings research from the university to individuals with a particular need, and those specialists provide the community with that information. In addition to the master gardener, master naturalist, and 4H with its STEM (Science, Technology, Engineering and Mathematics) and Robotics programs, the center offers programs in business development, community development, labor education, nutrition and wellness education, and housing and environmental design, to name a few. The center also has labor law practice, and works with unions and businesses to make sure they know about the latest labor laws being discussed at the federal, state and local levels, and how to make sure they’re providing the best practices and policies for their employees. James said the center also works with small business associations. “If they want to get involved with the government, we help them with government contracts and walk them through that procedure to make sure they’re qualified,” he said. Nutrition and wellness programs provide classes and workshops for people wanting to improve and sustain their quality of life. 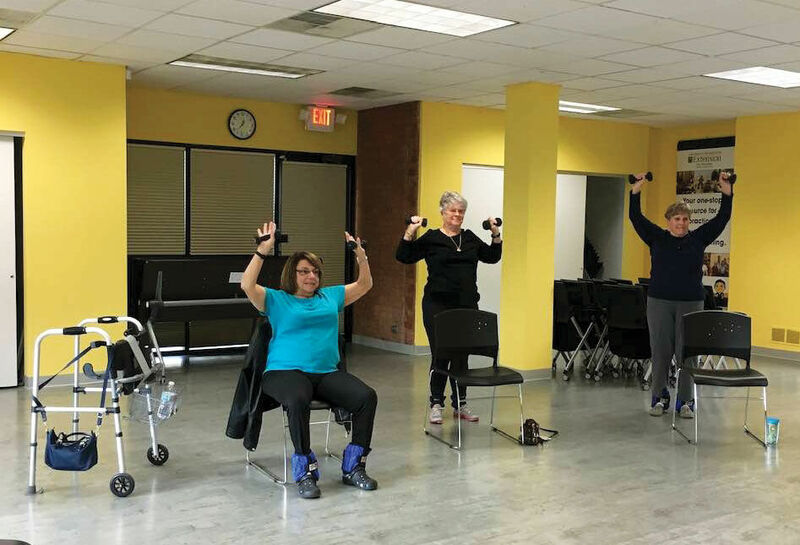 The Stay Strong Stay Healthy program is a strength training class for middle age and older adults wanting to improve balance and build strength. Cooking Matters teaches participants how to shop and prepare healthy, affordable and delicious meals. The Eating Smart, Being Active focuses on physical activity, food budgeting and healthy shopping. When Congress passed the Smith-Lever Act in 1914 and created the Cooperative Extension System at the United States Department of Agriculture, it included work of various boys’ and girls’ clubs involved with agriculture, home economics and related subjects, which effectively nationalized the 4H organization. James said the Smith-Lever Act worked with Mizzou to be a land grant university and also included Lincoln University in Jefferson City. However, the extension works with many individuals who are starting small farms within St. Louis County, according to James. “We work with the small farmers on everything from soil testing and crop rotation to make sure they move into the food system, and to make sure what they can grow is what they can sell,” he said. For more information the extension and its programs, contact the University of Missouri Extension at (314) 400-2115 or visit http://extension.missouri.edu/stlouis.